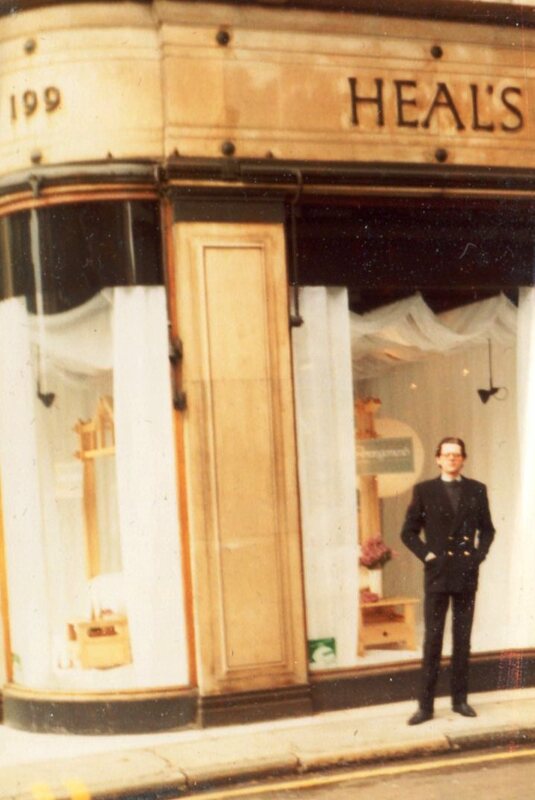 The Oriental Four Poster Bed was exhibited in the front corner window at Heals in Tottenham Court Road as part of the promotion of a small range of bedroom furniture this spectacular bed was in fact a private commission designed and made as a one off piece to the brief and specification of a client. 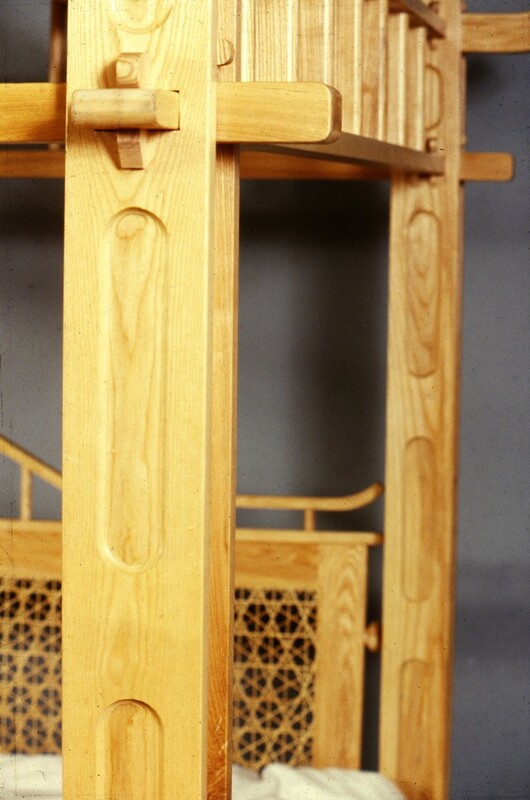 Traditional techniques of assembly were used like the pegged joint illustrated. 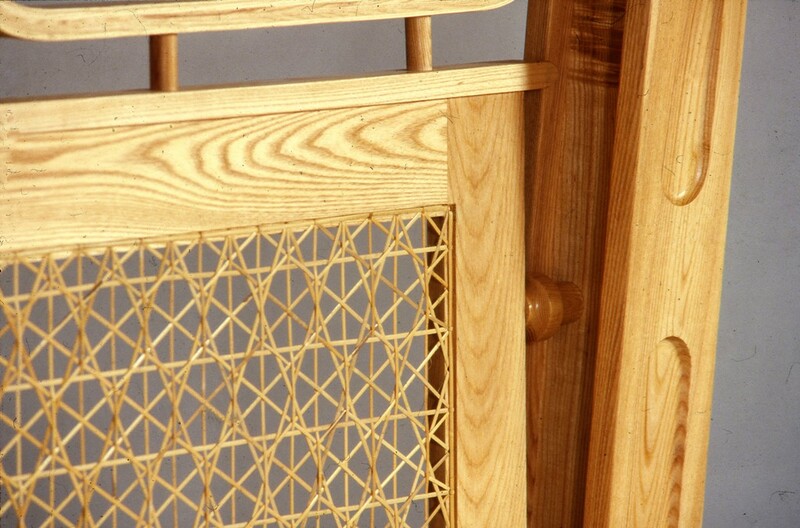 Large pieces of furniture like these are best simply dismantled and erected as the substance and weight of the components can be awkward to manage. Particular attention was made for this to be easily assembled. 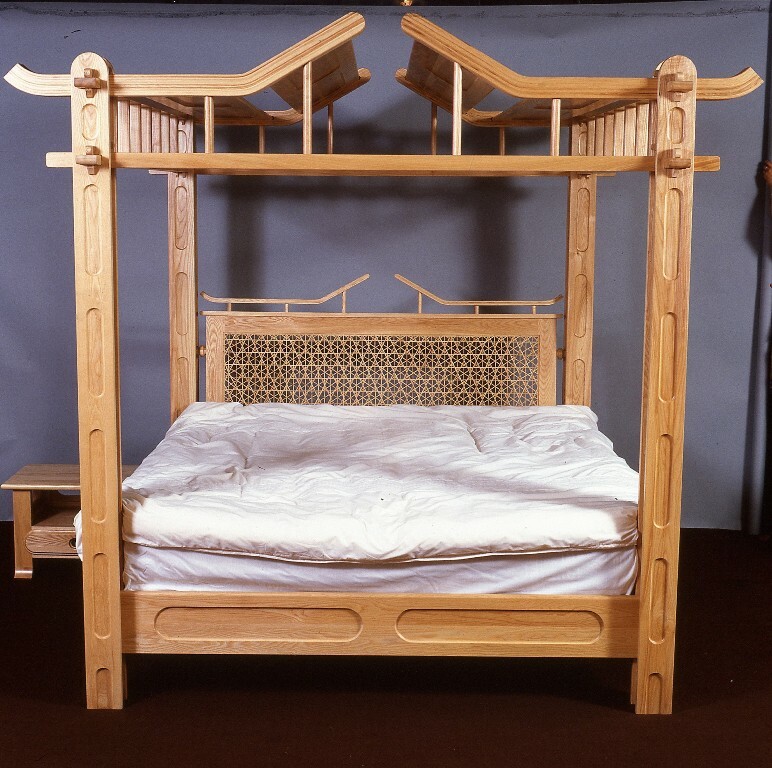 The bed board is hand caned and set with a rake allowing cushions to lean back and give a better mode of comfort. 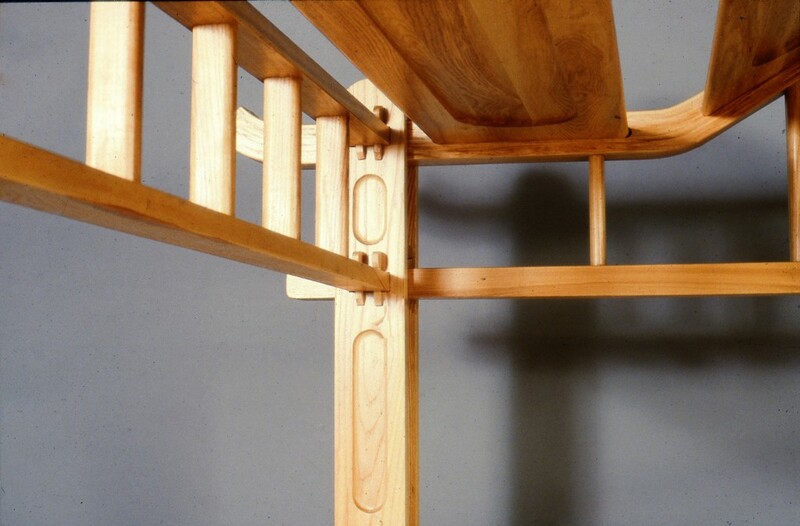 A subtle detail but very noticeable when sitting up in bed.